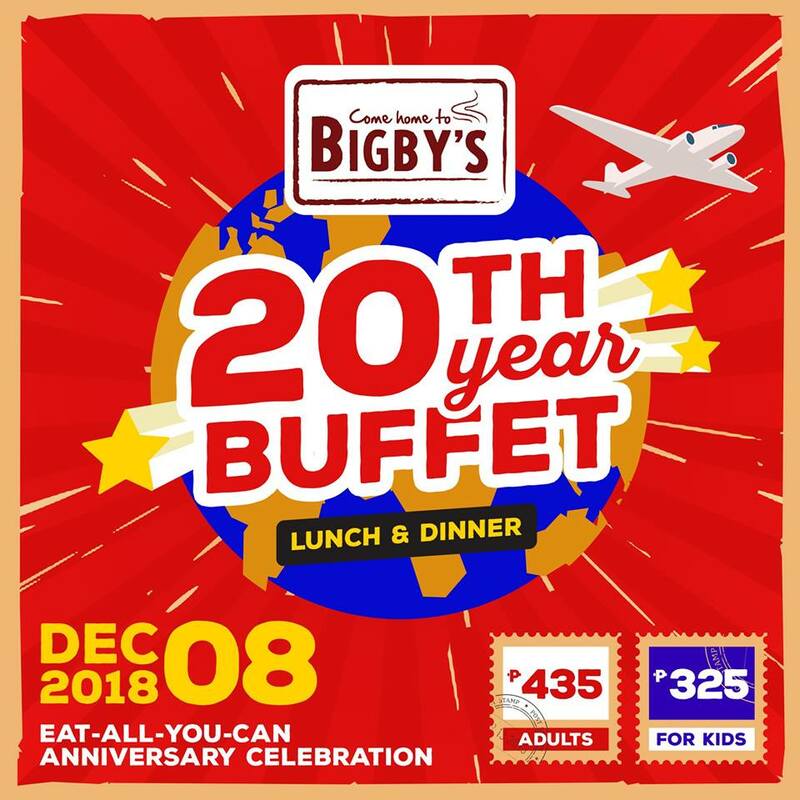 Bigby’s Café & Restaurant will be celebrating their 20th Year Anniversary tomorrow, December 8, 2018, with a Special Treat for everybody! Presenting, Bigby’s “Around the World Eat-All-You-Can Buffet Celebration” which will take place at all Bigby’s Cafe & Restaurant branches nationwide. You can buy your tickets at the nearest Bigby’s branch now! 435 for Adult and 325 for Kids.